The best spot in Lorain County for prime rib!! Pogie’s Supper Club is an intimate night out with a relaxed atmosphere, accompanied by live lounge music inside Pogie’s Clubhouse on Jefferson. Pogie’s will serve two 3 course pre-fixe menus each evening. Start off with soup and a salad, followed by your choice of thick cut prime rib, homemade twice baked potatoes, & chef’s vegetable, or the chef’s special menu of the evening. Homemade bread pudding or homemade chocolate chip cookies for dessert! 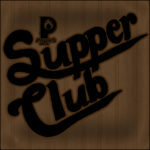 Pogie’s Supper Club is BYOB and advance ticket sale only. Seats are limited for this intimate setting inside Pogie’s Clubhouse on Jefferson! Pogie's Supper Club will benefit The Amherst Historical Society.